Supposedly there are times when Gordon Ramsay takes time a break from berating all sentient beings within a mile radius and actually cooks, but evidence for this is scant. He is getting closer to his apparent goal of insulting every person on Earth, however, as of his speech at the Britweek Innovation Awards on May 4, during which he attributed his success in the US to Americans knowing "f*ck all about good food." The reality TV star, chef, and aggressive Twitter user was accepting an award that recognizes British and American creativity and entrepreneurial talent when he shared the incident that led to his evaluation of the American palate. 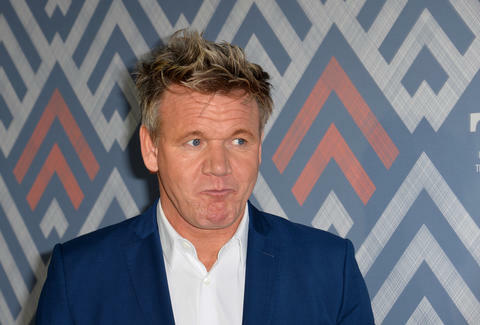 According to the Daily Mail, Ramsay recounted that when he moved to the United States in 2004 he had lunch with a Los Angeles Times reporter. After the lunch, their server asked if they'd like their dishes to go. "'That's when I knew Americans knew f*** all about good food. Right there and then.'" Given the context, he was probably partially kidding. But if you want to take this point up with him yourself, remember that you can now enable Ramsay on Alexa. He won't be able to hear you, but at least you can feel like you're yelling at him for once.